It was today that Amazon pronounced that Alexa and Echo speakers were now readily available in France calling upon customers to rush and take advantage of the discounts. Echo and Echo Dot speakers will be launched in France over the coming week whereas the Echo Spot will be made available from next month. Time has come when buyers can now make their Alexa Skills Kit purchases in France. This kit helps developers in coming up with the voice apps for Alexa. Hundreds of French-speaking skills are available from brands like Domino’s Pizza, Uber, Philips Hue and Netatmo. A person well conversant with the matter has said that the expansion to French furthers Alexa’s understanding of new languages, which he terms a progressive move. In the previous year, Alexa learned to speak Japanese and German, not forgetting a number of dialects of English from Canadian English, Australian and India over the recent months. It was from last December that the International versions of the Echo smart speaker went on sale in almost 80 countries around the globe. Market experts termed it Amazon’s biggest global expansion so far though they pointed out to the fact that it could only speak English. It was in the previous year that the Amazon engineers unveiled the Cleo Alexa skill and that was in a bid to enhance Alexa’s understanding of different dialects and languages. It is a skill that is being available in Canada, India, Germany and in the U.S as well and that is according to the spokesperson of the company as he addressed a number of journalists. Skill’s listing in the Alexa Skills Store provides that Cleo has done quite much in line with boosting Alexa’s understanding of languages like and French. Local dialects usually result in different forms of French. 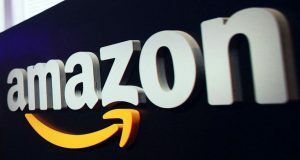 But it is crucial to also recognize the move to make the French-speaking international Echo speaker available outside France could lead to a large number of French speakers in countries like Switzerland, Belgium and Canada resorting to bringing Amazon’s AI assistant into their homes. As per this moment, Alexa speaks about four languages whereas the Siri belonging to Apple speaks 19 languages. Multilingual assistance for households good with more than one language is being organized for AlphabetGoogle Assistant later this year and the languages in that case will be German, French and English.